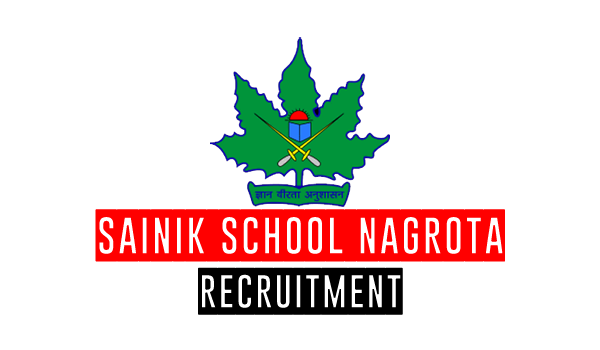 Sainik School Nagrota has opened its recruitment for the filling the vacancy of 05 for various posts. Interested candidates may have a look at the official notification and apply for the posting through the offline mode. The last date for your application to reach is on 20th April 2019. Should have worked as an accountant for a minimum of 10 years in a Govt. or any private concern. Typing speed of a minimum of 40 words per minute Practical computer knowledge with word/ excel/ powerpoint/ tally, experience, and knowledge of store keeping/ commerce/ accounts/ office work. Ability to communicate in Hindi and English. Step 1: The candidates interested to apply for the Sainik School Nagrota Laboratory Assistant Recruitment 2019 and for LDC may have a look at the official website, for the qualifications and requirements. Step 2: If you are eligible you may download the application form, fill the required details, attach the required documents and send the application to the below address. Selection for the post of Sainik School Nagrota Recruitment 2019 will be based on shortlisting and interview process.